Here is another neat batch of Local History Mystery photos! Note: You can always see a larger view of each photo by clicking on the photo. 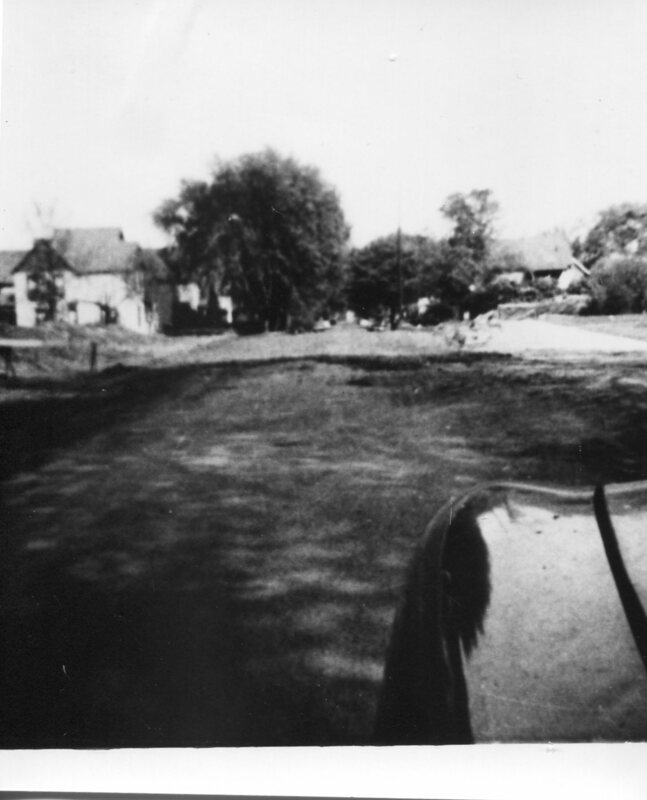 Mystery Photo 1: The record for this photo states that it shows “Dr. Gordon with drum” and “Dr. 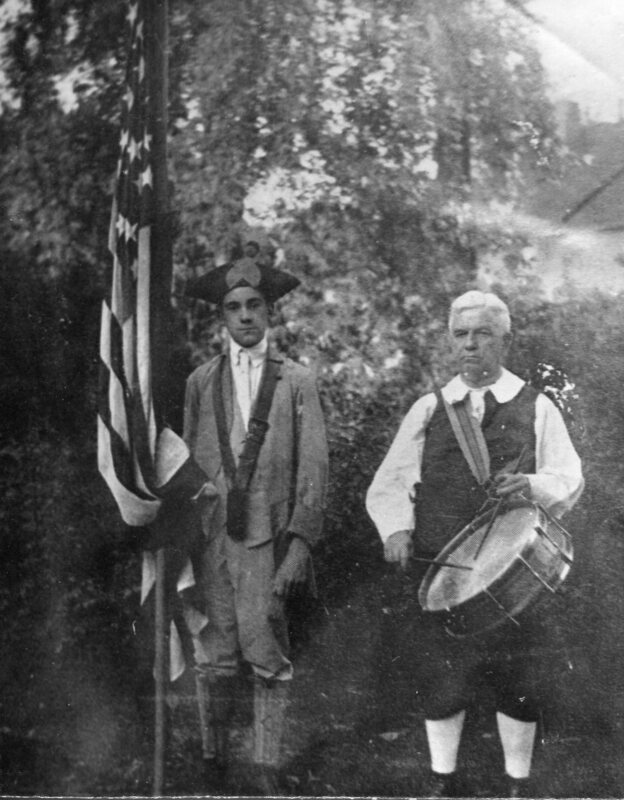 O’Brien with flag;” and that the photo was taken in the early 1920s. 1. Does anyone know anything about how Dr. Gordon and Dr. O’Brien were? 2. Does anyone know what the occasion might have been that had these two doctors dressed up like Revolutionary Era soldiers? 3. Were was this photo taken? What year did they first pave all the streets in the City of Corning? Mystery Photo 3: The record for our third mystery photo is of Navy men 1915. 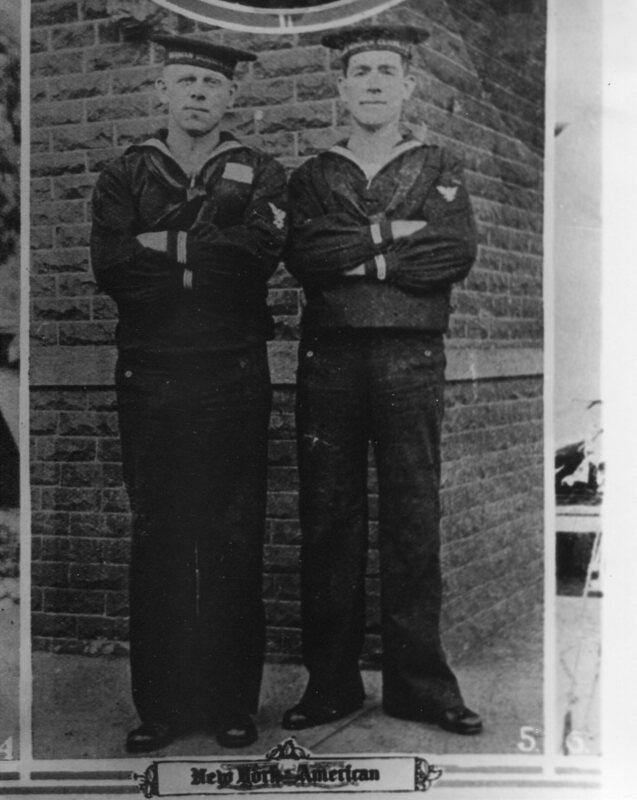 The record for the photo indicates the men are Edward W. Fitzpatrick & N. J. Allen. 1. Does anyone know anything about who Edward Fitzpatrick and N. J. Allen were? Mystery Photo 4: Our fourth mystery photo is less of a mystery than the other three! 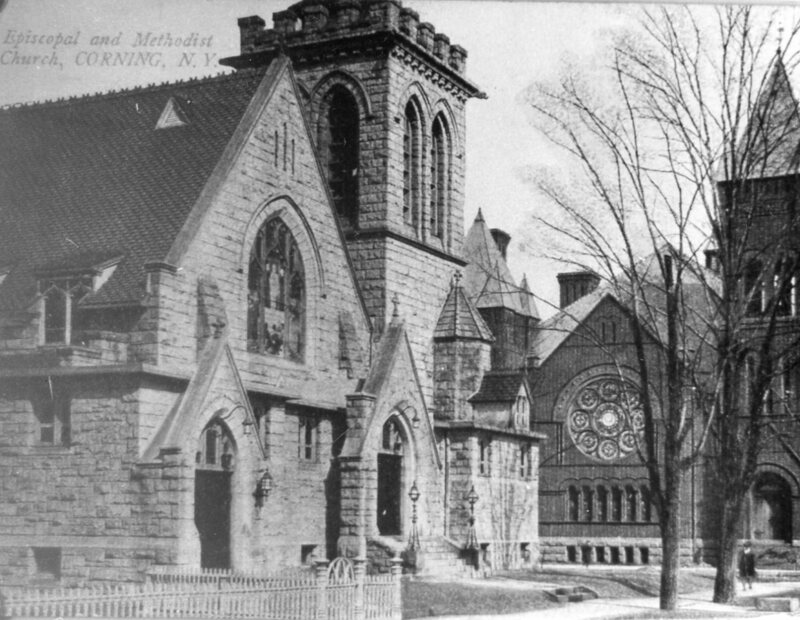 We can still stand on East First Street, about 50′ westward of the corner of First and Cedar, and look eastward and see Christ Episcopal Church (foreground) and Corning First United Methodist Church (background). 1. What year was the photo taken? 2. When did that take down that metal (iron?) fence seen to the left of the Episcopal Church? And don’t forget not only can you research your family history at the library – you can also create a family history album by using the equipment in our Makerspace — Creation Station! We’ve got scanners to scan photos, a Cricut machine to design and create paper projects, a comb binder and even a laminator – check it out! Edward Fitzpatrick (seen above) is a likely a nephew of Edward F. Fitzpatrick (of 308 W. Pulteney Street). Born in 1588 in Westchester County, he died 1932 in Corning NY. Survived by wife Mary Fitzpatrick and Daughter Helena Collins of Rochester. Buried at St. Mary’s Orthodox in Corning.